Most often, window sills are mounted when they install windows. Therefore, a separate installation of window sills is extremely rare, only in special cases. But it also happens that in the course of repair work or redevelopment of an apartment, improper coverage needs to be replaced (usually a wider windowsill is installed). Then you will have to dismantle the old window sill to install a new one. In this article, we will look at some of the reasons why window-sills need to be changed from time to time, which material to choose for the future window-sill, and how to replace the window-sill. 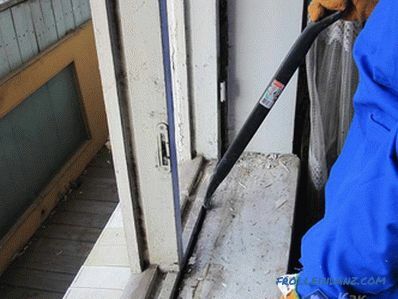 If you need to replace the window sill, you can do it, despite the lack of experience. And now about everything in more detail. 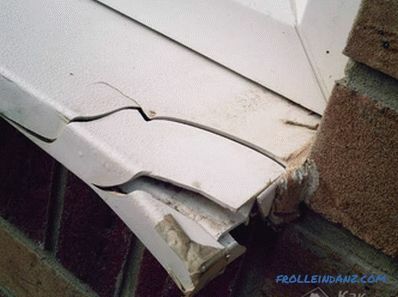 Damage formed on the surface of the coating, reducing the overall attractiveness of the window sill. The aesthetic appearance is lost in the presence of small scratches, cracks, chips and various kinds of deformations, when the window sills are made of wood. There are violations of the integrity of the product - deep chips, large cracks, due to which the window sill can collapse at any moment. Often the window sill serves as an additional shelf, where we usually put our pot, seedling or other things. Therefore, when such deep damage is formed, its replacement is required. The crumbling of the wall adjacent to the window sill or the complete destruction of the coating itself. Often this leads to the fact that the window sill can fall at the most inopportune moment. Moreover, the quality of sealing in this case is significantly degraded, which allows cold air outside to freely penetrate inside the room. This is especially unpleasant in the winter time. The final reason is the reorganization of the entire space and the change in the overall design of your room, in which the old window sill may not fit. It may be that you just need a larger window sill - for various purposes. Whatever the reason, the window sill needs to be changed, even if he just bored you. Is it possible, if desired, to perform all the work on the dismantling and installation of the sill yourself? You will learn the answer further, having familiarized with the installation technology of the windowsill. But before you install it, you should decide what material the future window sill will be from. Let's look at some of them. We live in a time of technological progress. Nowadays there are so many materials for construction, and all of them are so diverse and universal that our ancestors would envy us. And this concerns not only durability and quality. This is a beautiful, aesthetic appearance, which is important. If we talk about window sills, then modern models are presented in the market in various versions. The range of products is so large that you can choose a model that fits perfectly into the interior design, fully performs its functions, has various design features, copes with various kinds of load and has a very reasonable price. Plastic products . They are among the most sought after materials on the market, as they are available to most. 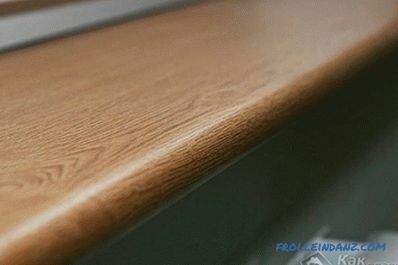 Despite the low price, plastic window sill can be called practical and reliable, resistant to light and heat, able to serve you a long time, as it does not rot. However, with a strong mechanical effect, it can break. Given the fact that the material has a synthetic origin, such a window sill has a good environmental friendliness, which is very important, especially for those families that have small children. And of course one of the important advantages of plastic products can be called a wide range of colors and configurations of the goods, as well as their low weight. This fact will allow you to choose exactly the window sill, which will be in harmony with the overall interior of your home. It should also be noted that such a window sill can be replaced by a simplified scheme. Wooden products. The tree will always be in trend. Naturalness is always fascinating and gives nobility to the product. This material was used even by our distant ancestors, but remained relevant to our time and does not lose its popularity. Wooden window sills will give a feeling of warmth and comfort in the house, especially since they have a beautiful natural pattern and a pleasing eye texture.If you are a connoisseur of environmentally friendly and natural materials, you should give preference to just such an option. Thanks to modern technology, pre-processing of raw materials contributes to the fact that finished products during the operation will not rot, deform or break. But, of course, you need to pay for all this, and quite a lot. The price of wood products is much more expensive than plastic, so not everyone is able to afford them. If you are a connoisseur of the highest-grade breed, expensive solid window sills are suitable for you. There are also low-budget options made from materials such as MDF and particleboard. Acrylic products. 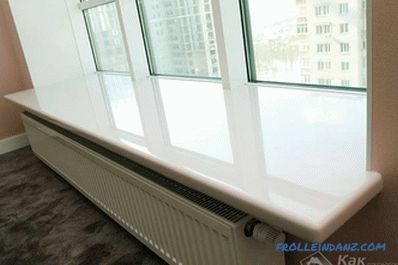 Very durable and reliable window sills, which are gaining increasing popularity due to their qualities. Yes, they cost 2-3 times more than PVC products (plastic), but you pay for good reason. After all, such window sills are able to withstand the weight not only of the items that will be installed on them, but also the weight of a person. Often with the help of such window sills they set up a recreation area, expanding the canvas and adding pillows for comfort; here you can sit with a cup of tea, watching what is happening outside from the window. They have many advantages: do not scratch, are not afraid of a lot of weight, spilled liquid or a fallen cigarette. They are easy to clean and easy to clean. They do not lose their original appearance, despite the long life. And not least, such products can be of any color and shape. This is the case when the price is fully consistent with the quality, and even more. Products made from natural and artificial stone. Like before, and now, stone also remains a popular material in construction. But such window sills can not fit into the interior of your room. Only when everything is chosen correctly, marble and granite pavements add solidity and sophistication to the decorative design of the house or apartment. Their main advantage is durability and reliability. 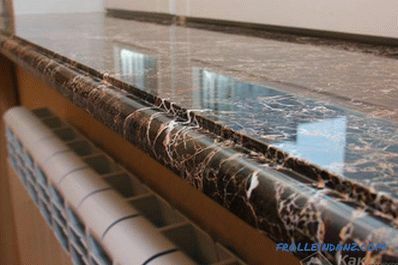 Nevertheless, stone window sills can not always be called safe, because they have quite a lot of weight and are radioactive. 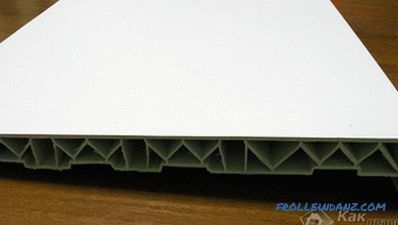 These are not all materials from which window sills can be made, but they are the main and most popular. The decision on which material to choose is yours. You start from your means, the purposes for which the window sill will serve, and the interior design. Agree, a stone window sill by a plastic window is most often inappropriate, especially when there are no stone decorative elements in the room. Given all the factors, you can purchase the perfect option. Do not save on quality, as this may affect the future. An important nuance when choosing a suitable design is its parameters and dimensions. Choosing a product, note that its length should exceed the width of the window by a few centimeters (10-20), but the width is chosen based on personal preferences, but only so that it does not close the heating radiator. Only it is important not to overdo it so that the installed window sill does not break in a place where there is no support. With the window sill decided, let's consider the detailed instructions on how to properly install it with your own hands. As mentioned earlier, the easiest way is to replace plastic products, this applies not only to windowsills, but also to windows. If they are made of other materials, the sequence of the installation process will be the same, except that more attention should be paid to accuracy in the work. So, let's find out what materials you will need in the process. If you don’t have something from this list, do not rush to the store. When you are not sure that you will need these tools in the future, you can borrow them from good friends or acquaintances, and even better from relatives. 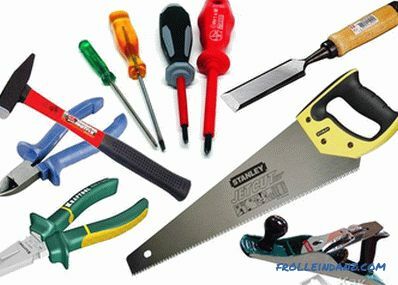 Having collected all the necessary equipment, you can proceed to the dismantling of the window sill. Actually removing the old window sill not as difficult as it may seem at first glance. The main thing is a clear adherence to the manual. 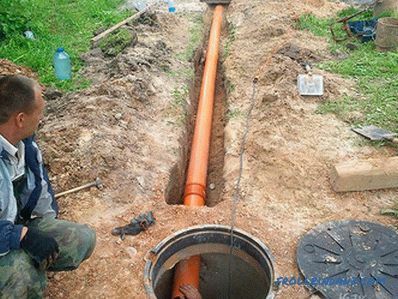 It is also important that when working should be careful, careful and careful so as not to damage anything superfluous. Cracks and chips at the window you do not need. Consider how you can remove the window sills of various kinds. To protect your hands from injury, use gloves. 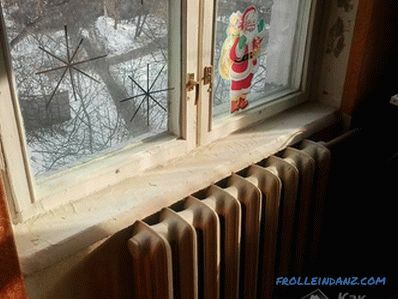 If the window sill is wooden, a hacksaw and scrap will come to the rescue. 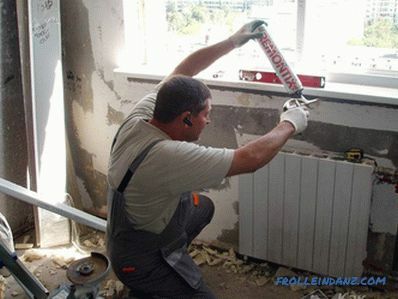 First you need to check how the window sill is attached. When it is attached to the wall, hit the window sill under the hammer several times to loosen the fastener. Scrap try to lift it. Then try to just get it. Was your attempt unsuccessful? Use the chisel and hammer. Otherwise, use a hacksaw. Cut the cuts in different places and remove the pieces with scrap. 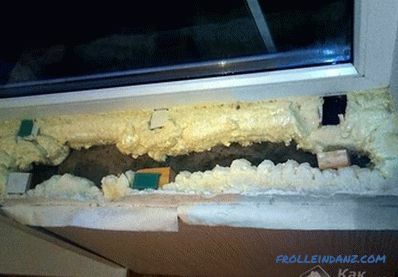 It happens that under a wooden window sill there is glass wool, which can damage your airways. To avoid injury, proceed to work in a respirator. Things are more complicated with a concrete window sill, as more effort will have to be made. During such work, you can not do without dust and debris, so it is important to protect your respiratory organs and eyesight. For its removal you will need a hammer drill or grinder. If there are none, you can use a hammer and a chisel, but this will significantly slow down. Removing the plastic window sill is quite easy, since it is fixed mainly due to the mounting foam. 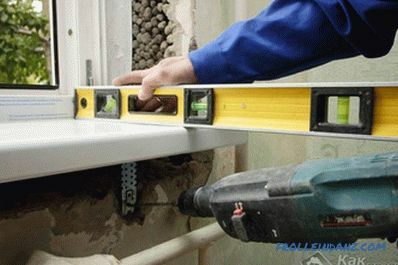 To remove the plastic sill can be two methods. The first is simple, but with great destruction. The essence of the work is to carefully remove the slopes and repel the plaster. Then it remains to cut the mounting foam with a sharp knife. After that, the plastic window sill is easy to remove by a sharp movement upwards and towards yourself. The second option is more gentle, thanks to which you can save the plaster and slopes. First of all, file the mounting foam, due to which the window sill is fixed, with a hacksaw. Similarly, you need to remove the liquid plastic, remaining at the junction of the slopes of the sill. When you cut off this layer, gently pull the product towards you. If all else fails, cut through the mounting foam again under the window sill and repeat all over again. After the window sill is removed, the surface must be prepared to install a new one. 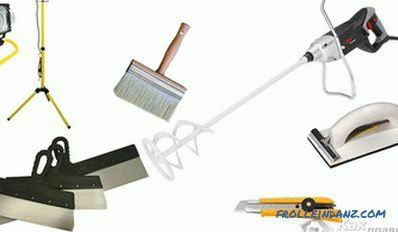 Remove all debris, dust, residual mortar and foam. Now the surface is ready for installation of a new coating. Do not assume that to perform the replacement of the window sill, simply remove the old window sill and insert a new one in its place. There are some rules for the preparation of this niche and the product itself. These rules are mandatory, so their compliance is very important. To fit the window sill to the window opening to be as accurate as possible, you need to cut out the extra parts in the place where the window sill will be installed, taking into account its dimensions. Also check the groove itself where the blade will be installed. Measure out all sizes to prepare a new canvas. On how well the measurements are made, depends not only the overall appearance, but also the strength of the structure, as well as the functionality of the window sill. If the old window sill remained intact, it can be used as a template-pattern to make a new canvas, if the dimensions of the past sill suit you. You can cut a new blade with an electric jigsaw or a saw. 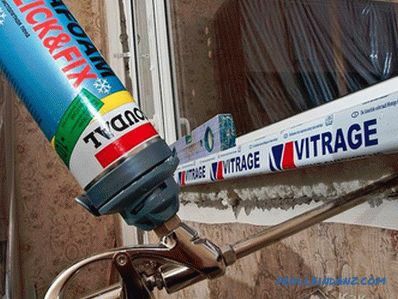 It is important that when cutting does not form defects and cracks, so do not strongly rest on the window sill. When installing a window sill made of wood, all cut edges from the ends should be treated with an antiseptic to keep the material from mold and reduce moisture permeability. Prepare the doorway itself, on which the window sill will be installed. If the height of the purchased window sill is less than that of the old one, a cement screed must be made on a horizontal base. If the window sill is thicker, the niche needs to be deepened. If during work there are gaps and cracks in the walls that are adjacent to the installation site, they need to be repaired. To do this, use the usual filler or cement mortar. Applying sealant In the place where the window sill will abut the frame, across the entire width of the window opening, apply silicone sealant. 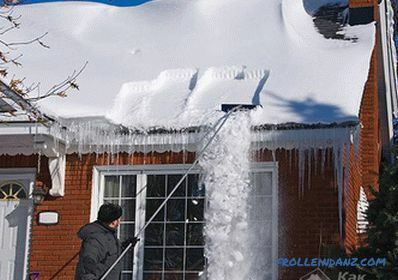 Thus, you can achieve tightness and eliminate the formation of voids that contribute to the penetration of cold into your home or apartment. In the opening you need to put the prepared boards. They will serve as a support for the new sill and take on the main load. 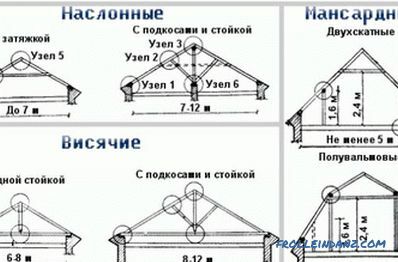 Using a level, check the horizontal position of the whole structure. Defects need to be corrected, making everything perfectly smooth. Now install the sill plate on the prepared boards. Level Check Use the level again to make sure the installation is correct. Put some weight on the windowsill. It could be books, a heavy box, bottles of water, or something that would be on hand. Take the mounting foam and blow out all the side and rear grooves with it. If a plastic construction is installed, some manufacturers add special profiles to the kit, thanks to which the installation process of the new sill will be even easier. Zaping The edge under the sill, which protrudes, needs to be sealed with cement mortar or foam to fix it. Now take a technical break, 24 hours long, so that the foam or solution will completely freeze. If the gaps were treated with cement mortar, the surface should be sanded with a float or fine sandpaper. 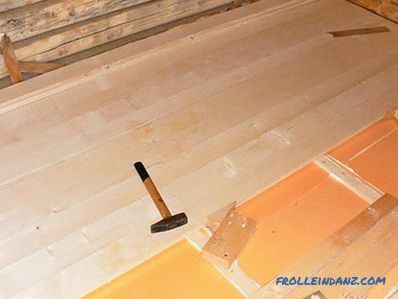 Now it remains only to protect the ends of the sill with a cap and remove the protective coating from the canvas. To give the window a natural and aesthetic look, you need to plaster or paint the slope. 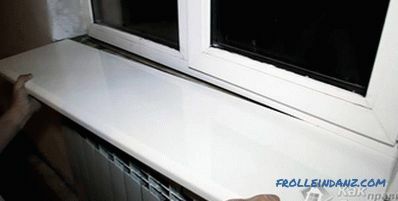 It should also be noted that the window sill should not prevent the heat from rising from the radiator up and spread around the apartment, so the ledge is recommended to do from 6 to 8 cm. Now your window sill is ready! You could see that replacing the window sill with your hands is possible. This procedure is simple and does not require professional skills, you can do everything in 2 days, taking into account the interruption of drying. 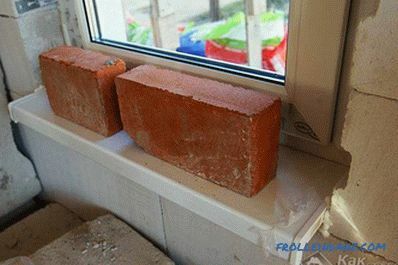 Replacing one window sill, you can easily do it with other windows. Moreover, thanks to self-installation, you can save money on hiring workers. after installation, take care of the surface regularly. We hope that our advice will help you competently and quickly replace the old window sill. If you succeed, write to us in the comments, it will inspire not only us, but also those who will read this article! How install wooden window sill. How to install a plastic window sill.